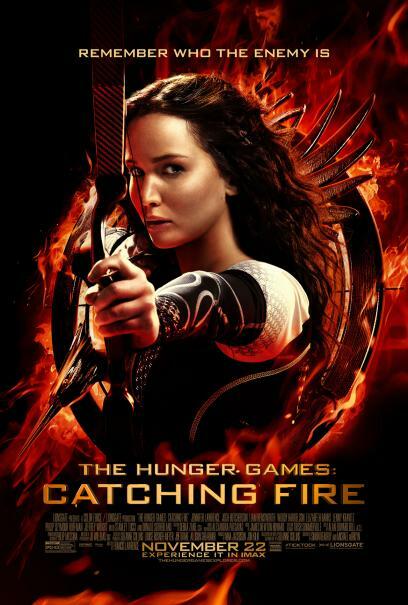 Tag Archives: watch online The Hunger Games: Catching Fire in hindi. “The Hunger Games: Catching Fire” begins as Katniss Everdeen has returned home safe after winning the 74th Annual Hunger Games along with fellow tribute Peeta Mellark. Winning means that they must turn around and leave their family and close friends, embarking on a “Victor’s Tour’ of the districts. Along the way Katniss senses that a rebellion is simmering, but the Capitol is still very much in control as President Snow prepares the 75th Annual Hunger Games (The Quarter Quell) – a competition that could change Panem forever. “The Hunger Games: Catching Fire” opens months after the “The Hunger Games” (an awful excuse of an ode to Suzanne Collins masterpiece, even though she was heavily involved with production) as we find Katniss Everdeen suffering from extreme moments of PTSD. We watch her endure the fake, Capitol induced life and the desire for the simplicity of that in District 12. The opening of the film is strong. Actually- almost near-perfect. Much darker and more visually attractive, these sparse moments give you a feeling that the film could actually live up to everything it should be. Francis Lawrence (“I Am Legend”, “Constantine”, “Water for Elephants”) works hard to undo previous director Gary Ross’ established bland visuals, and succeeds. But the cinematography can’t save the shaky dialogue and pacing. Watching Katniss and Peeta’s struggle through the tour is beautiful. It really is. And the revelation of the Quarter Quell plays out exactly as you hope. It’s after the emotional tension releases that we’re left with a boring shell of a film. The acting breaks (even J. Lawrence’s..sometimes), the pacing seems as though the writers gave up, and the visual effects…well, it’s nice to see that the VFX artists from 1980 wanted to keep the same continuity between the horrid attempts in this film and the awfulness of the first one. But, it makes a comeback…sort of. As soon as the Quell starts- BAM. You’re back in it. The charming use of 65mm IMAX is a nice touch, but immediately reminds you, “oh yeah- I’m NOT watching ‘The Dark Knight Rises’…I should probably re-watch that”. Hawai’i is shown off beautifully, the VFX, again, are not. And the pacing feels rushed. Then slows back down. And then speeds back up. And then slows…and never finds it’s balance again. “The Hunger Games: Catching Fire” reminds me a little bit of when I first watched Christopher Nolan’s “The Prestige”. I was left with that “wait…what? !” feeling. The difference, however, is that “The Prestige” is supposed to feel like that. You want to watch it over and over. Films should be like that. Instead, “Catching Fire” leaves you feeling that you just want to move on. It can’t find that perfect balance between beautiful, tragic, and slow; intense, bloody and fast. It’s an improvement from the first film, this is true. However, is it a great film? No. It is a film that has a beautiful opening and a perfect introduction into Francis Lawrence’s interpretation of Collin’s novel, that falls apart with dead pacing and laughable dialogue. “Catching Fire” is forgettable (not box office-wise, obviously). But, hopefully, “Mockingjay” (slated to be a two-parter released within the next 2-3 years) will finally be The Hunger Games that the book establishes.